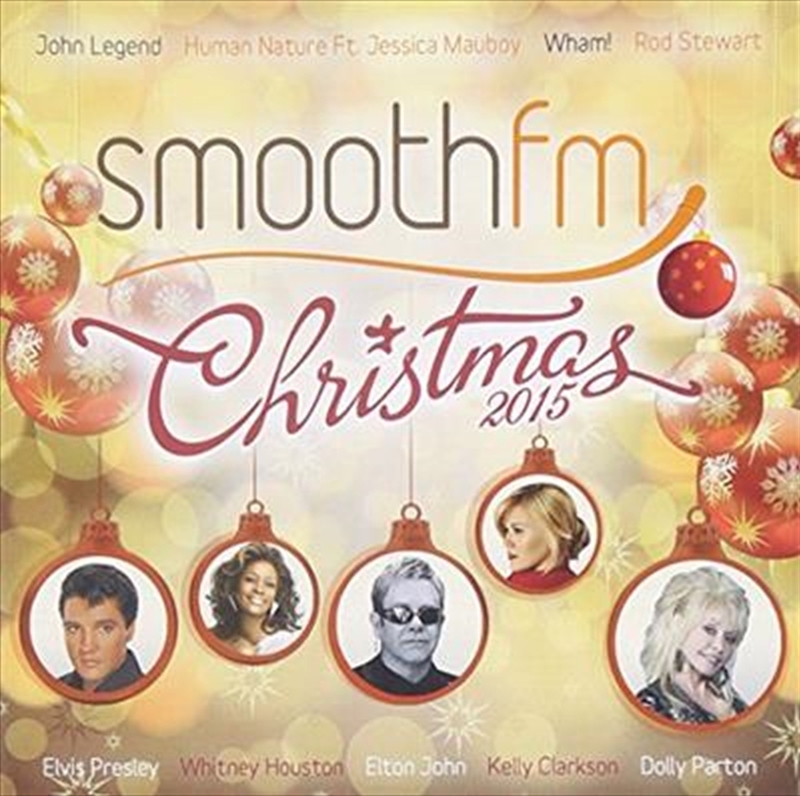 Smooth FM Christmas 2015 is the eighth volume in the Smooth FM album series. This 2CD album collection show cases 31 Christmas songs from the Smooth FM’s playlist - the perfect collection to satisfy all styles in music. All of the tracks on smoothfm Christmas 2015 are taken directly from smoothfm’s current playlist. The track listing features some of the biggest names in music, including Wham, Elvis Presley, Carrie Underwood, Elton John, David Campbell Featuring Kate Ceberano, John Legend, Human Nature Featuring Jessica Mauboy, Kelly Clarkson with many more.